Bottling autumn splendor has been Diane Flynt’s professional pursuit for nearly two decades. 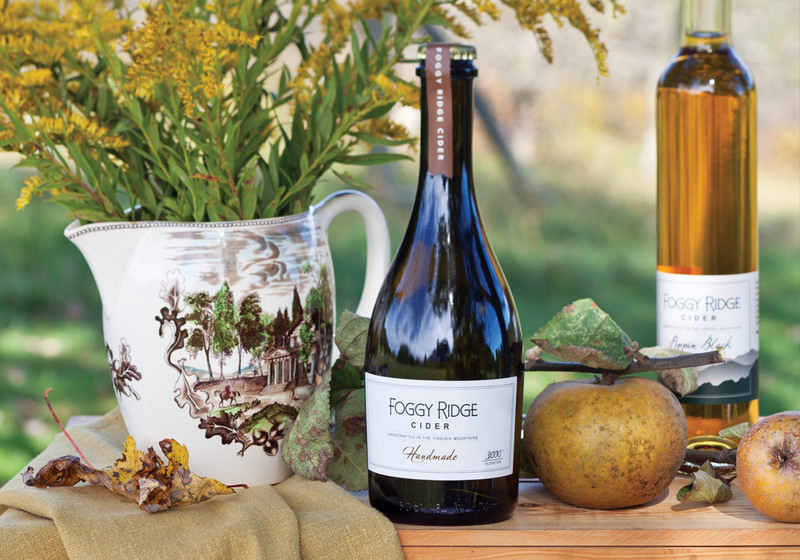 This maker of hard cider in Dugspur, Virginia, produces elegant, complex vintages that have more in common with fine wine than with most artificially flavored ciders on the market. 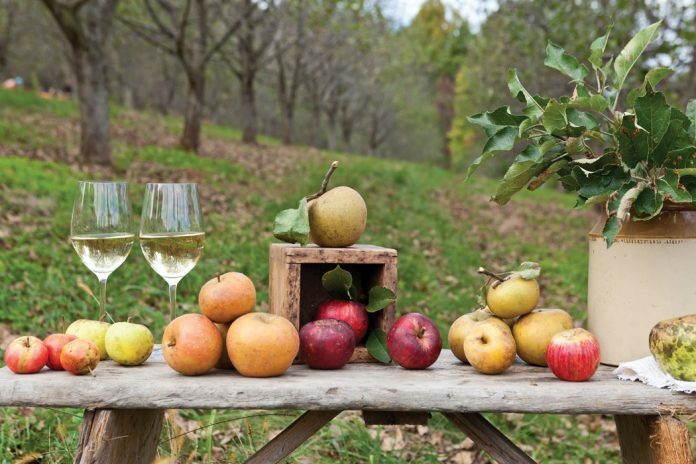 Once an early American specialty, the colonial beverage captures the essence of heritage apples—rare varietals once grown in the region for cider production. 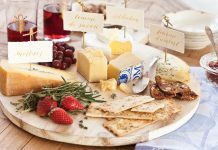 Diane’s Foggy Ridge ciders incorporate fruit that has been plucked at its peak of freshness and processed on-site for a distinctive taste of fall. In a small pan, heat sugar and water over medium heat, stirring constantly, until sugar is dissolved. Remove from heat, and add thyme to simple syrup. Steep while syrup is cooling, then discard thyme. Add gin and lemon juice. Refrigerate until cold. Divide gin mixture among tall, narrow glasses and top with cider. Garnish with fruit, if desired. Cider does not have to be carbonated. Featured at the 2014 Tales of the Cocktail in New Orleans. Stir together whiskey, bitters, cider, and maple syrup, and pour over ice. Garnish with a sprig of mint, if desired. Cider does not have to be carbonated for this cocktail. Featured at the 2014 Slow Food Terre Madre Salon del Gusto in Turin, Italy. Add whiskey, port, syrup, and 1 dash each of lemon and aromatic bitters to shaker. Stir with ice. Strain into a rocks glass, and serve. *Honey syrup is made by stirring together equal parts Tupelo honey and water. From Husk restaurant in Nashville, Tennessee. Shake and strain lemon juice, tea syrup, lovage bitters, and Angostura Bitters into a large coupe glass. Top with cider. Express a lemon peel over the drink to extract oils, and discard. Garnish with Queen Anne’s lace, if desired. *Lovage bitters are made in-house at Husk. Other herb-flavored bitters can be used as a substitute. From Chef Jay Pierce of Greensboro, North Carolina. Pour brandy into a champagne glass. Add sugar cube and bitters. Fill with cider. 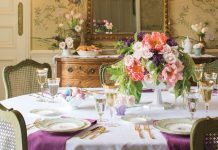 From Rappahannock Oyster Co., in Richmond, Virginia. Combine whiskey, maple syrup, lemon juice, egg white, and bitters, and shake over ice. Pour into a highball glass. Top with cider. Cider does not need to be fully carbonated for this cocktail. 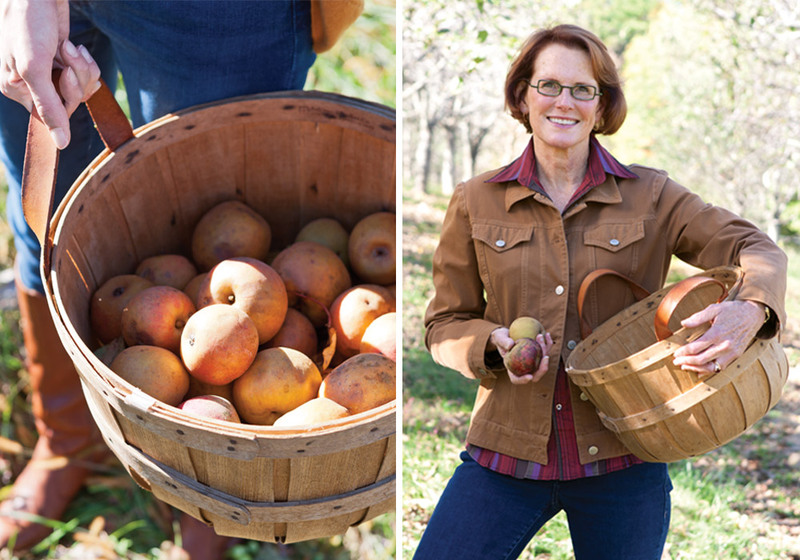 Learn more about orchardist Diane Flynt in “The Making of Fine Cider,” on page 67 in the October 2016 issue of Victoria magazine.